Dallas Cowboys owner Jerry Jones was reportedly told by the NFL to stop discussing national anthem policies after he incited another round of controversy with his comments last week. Jones was scheduled to do interviews with several local media outlets Sunday evening. Reports are that Jones told those outlets he wouldn’t take questions about the anthem because he’d been instructed by the league not to comment on the issue any further. Daryl Reaugh will return to the role of analyst on Dallas Stars television and radio broadcasts this season. The Stars on Monday elevated Josh Bogorad to the position of play-by-play voice. Reaugh had handled that role the previous two seasons after Dave Strader was stricken by cancer. Reaugh had been the analyst for the previous 20 seasons. 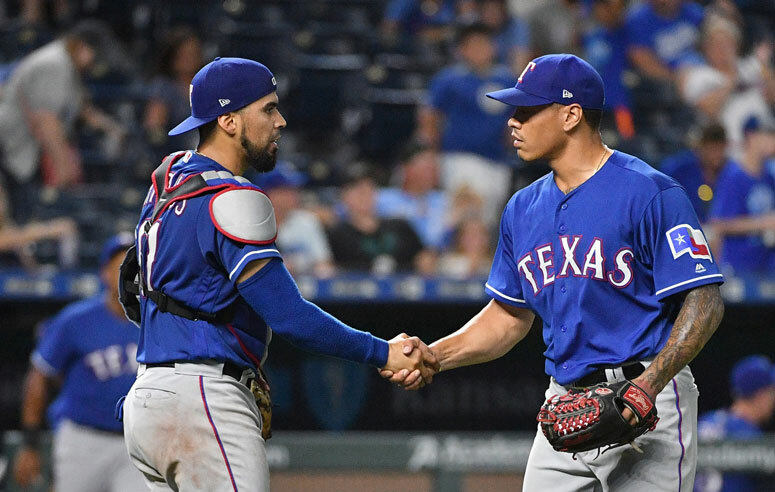 The Texas Rangers have traded right-hander Keone Kela to the Pittsburgh Pirates for two players to be named later, according to a team announcement. The Rangers won their fourth in a row as they defeated Arizona 9-5 last night. Eddie Butler picked up the win for Texas after only pitching a third of an inning. Shin-Soo Choo drove in four in the victory. Game two of the series is tonight on 1490AM and 96.3FM KPLT. Pregame at 8 with first pitch at 8:40.